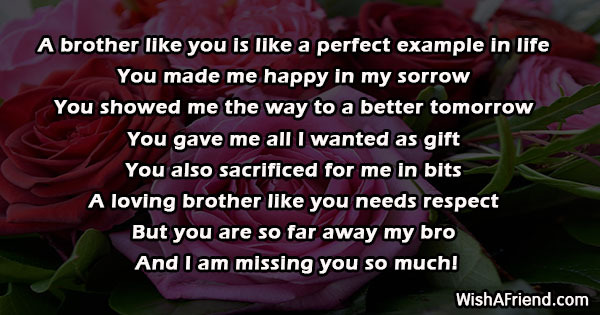 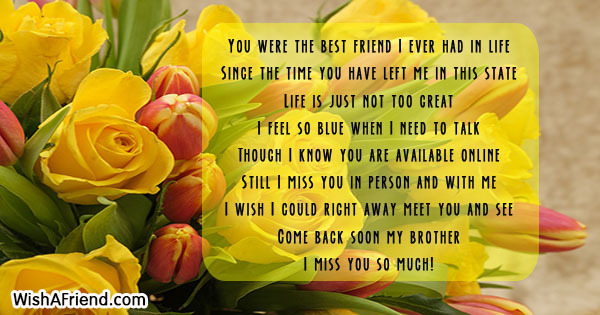 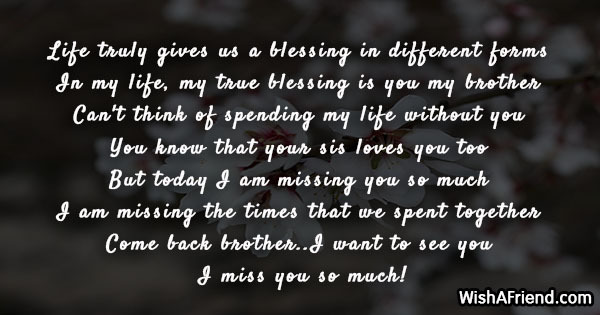 Send Miss You Messages to your brother to let him know you miss him. 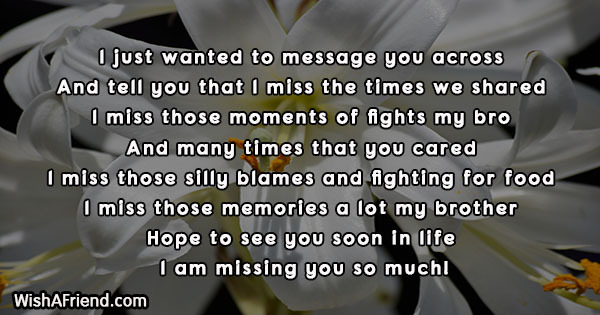 Share these messages via Facebook, Whatsapp, Twitter etc. 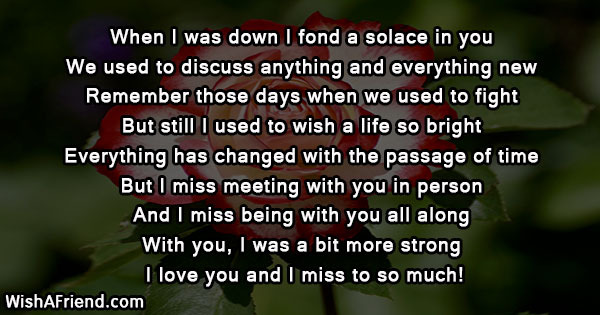 And I miss your lovely thought! 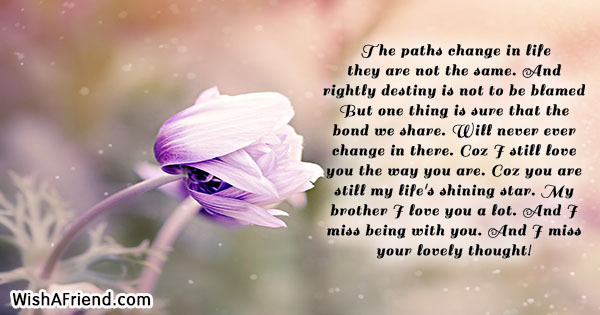 I love you and I miss to so much! 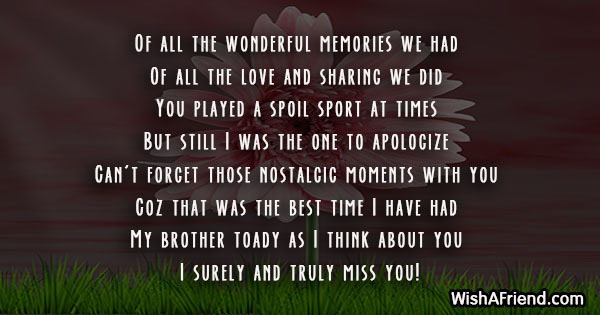 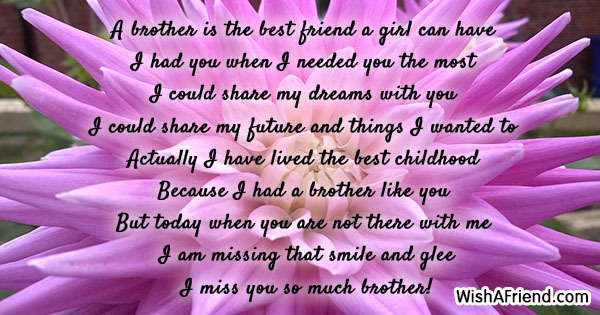 I miss you so much my brother! 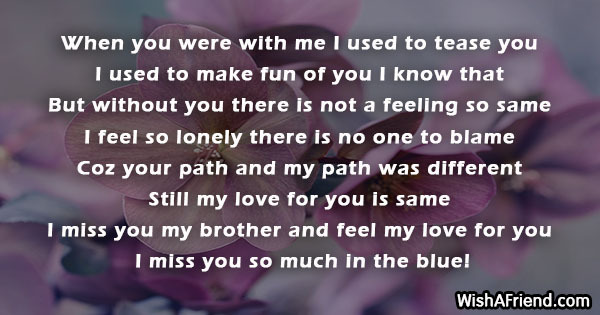 I miss you so much in the blue! 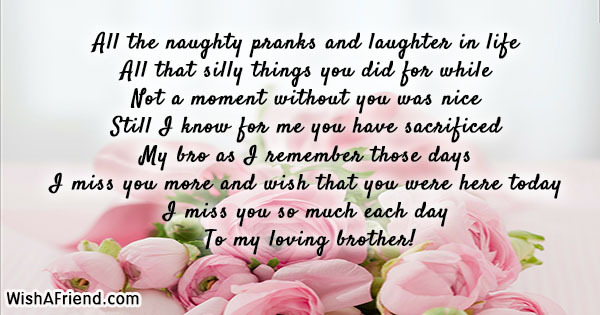 My bro I truly miss you! 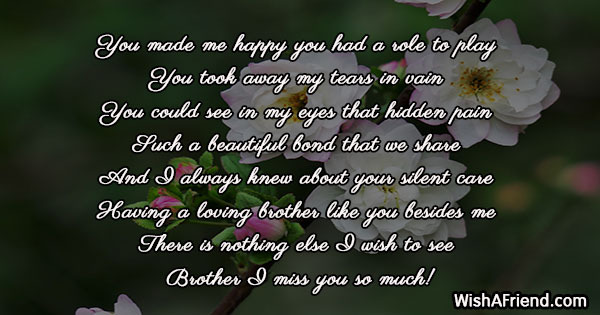 I truly miss you brother! 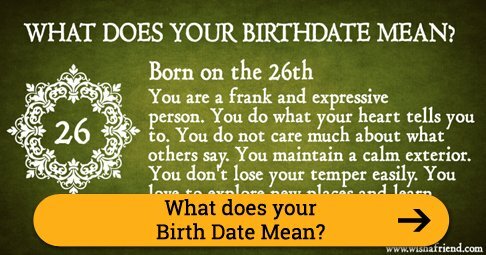 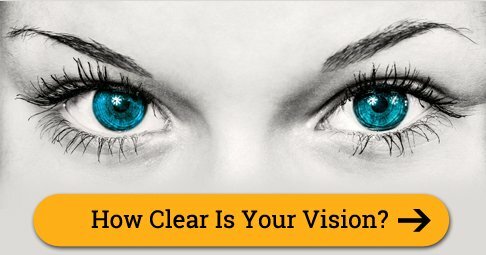 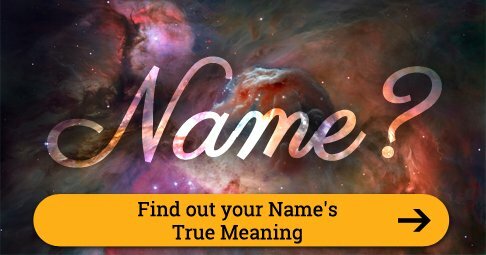 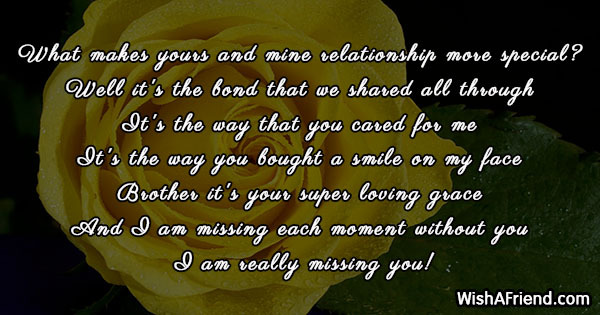 What makes yours and mine relationship more special? 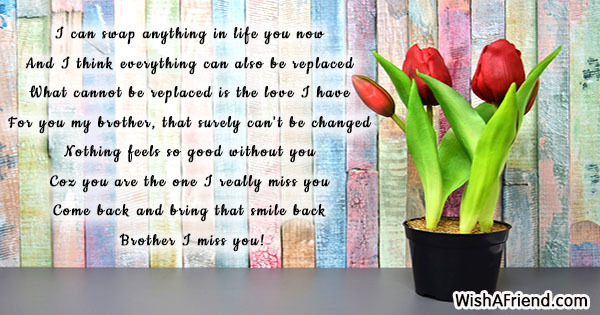 I am really missing you! 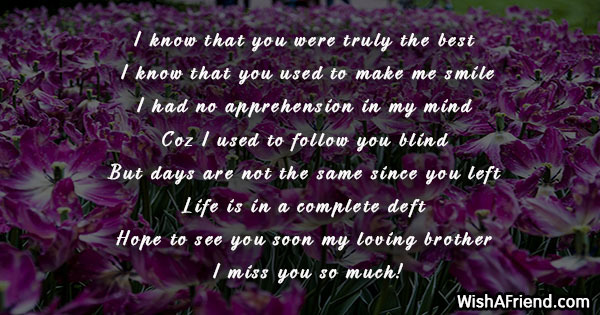 I surely and truly miss you! 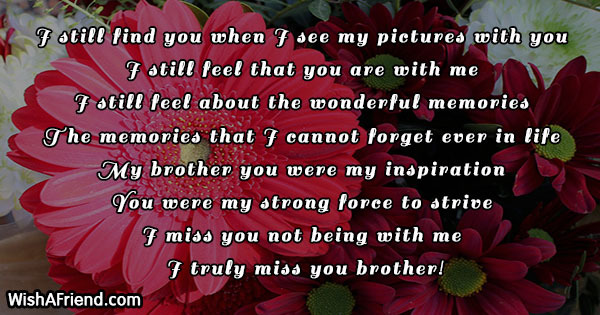 I am missing you more my sweet and lovely brother! 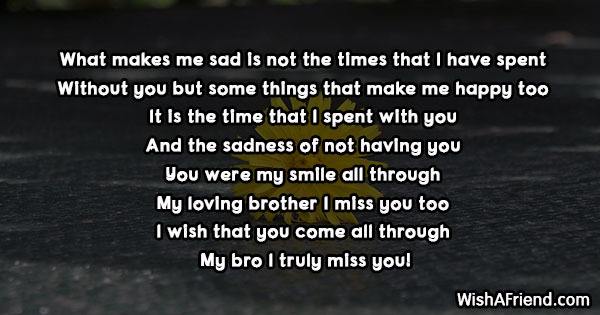 I miss you so much brother! 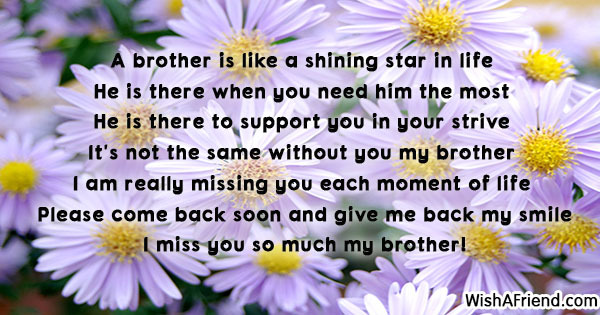 Brother I miss you so much! 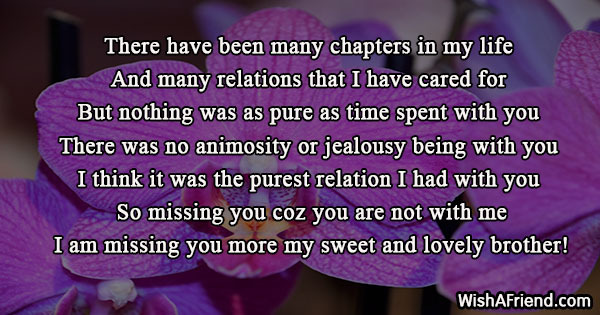 And I am missing you so much!